It took me a little bit to get into this book but when I did, I fell in love with the characters so much. Mim was so original and different and everyone else was just as interesting. The writing style is insanely awesome and I can’t wait to read more books from this author. The overall road trip aspect was fairly unrealistic but I didn’t think that was a big deal. I was so engaged in the characters and I loved the story. Overall, I loved this book. I was so sad when I finished it because I wanted to keep reading. 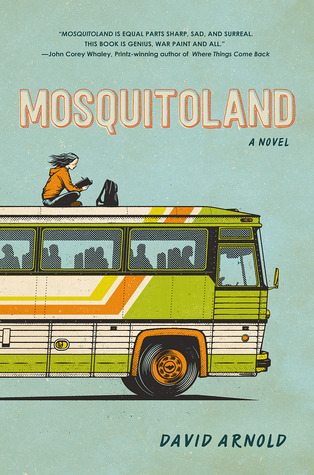 Mosquitoland is everything I look for in a book and I highly recommend it.